The Economy Mini Fragrance Fan is a battery powered fan that runs on 1 "D" cell battery and is perfect for those areas where you want a nice fragrance but don't have the room or outlet needed for our larger fans. 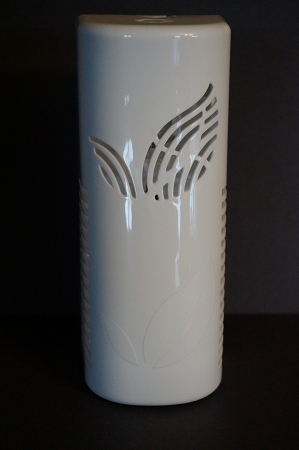 The Economy Mini Fragrance Fan includes the main fan unit and a Mixing Jar for the liquid refills. No fragrance refill is included.